Back to shooting more high school football. Its starting to get old fast as the teams I have been covering are horrible or all they do is run the ball and it makes for the same old imges over and over and…… Well I guess this game wasn’t to bad because of the beautiful dark blue sky. I wanted to get something kind of cool of Perrysburg, runing out on to the field that included the sky I was thinking about getting a low angle but I haven’t done a bunch of those lately so I thought it was time to mix it up. As the game was getting ready to start I saw two referees standing in the field getting ready for kick off so I got a low angle and tried to include the sky some how. It turned out ok, but not great next time I wil use a little fill flash. 2nd play of the game was a pass from the QB to Perrysburg’s #8 he dove for the ball going completly airbone but the ball wasn’t in the picture so it made the picture 10 times worse then it should have been, it will work out fine for reprints but nothing worth keeping in my portfolio. Next time I am going to yell” catch the ball and I will put you on the front page”! Then I started working on getting some defensive shots, because most people only see offensive and they got old fast, run, past, run, incomplete pass you get the idea. 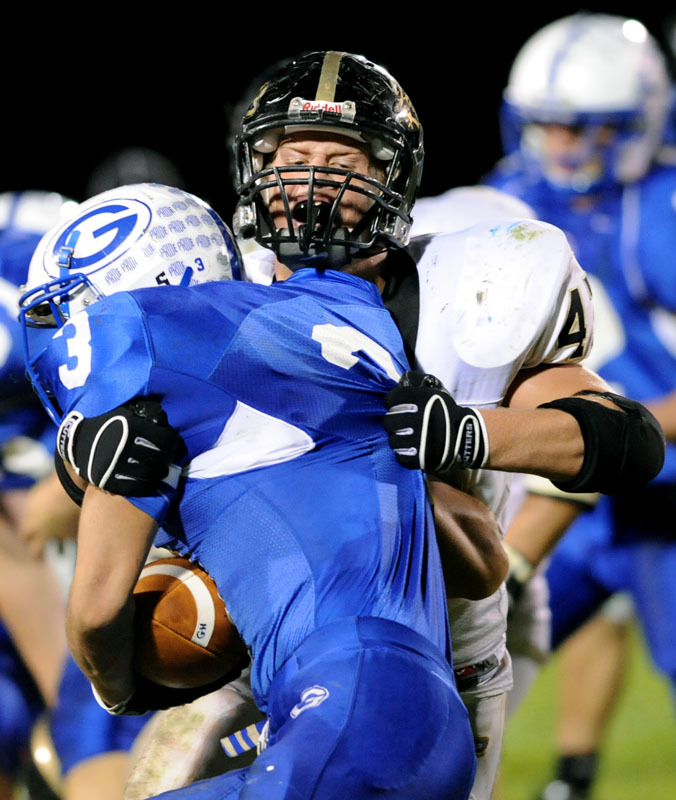 The above pic is kind of cool because of the framing, two of the Anthony Wayne players (in blue) are all made and the two Perrysburg players are all excited and pumped about getting the sack. Then Perrysburg intercepted the ball and ran it in for a touch down and Perrysburg’s #35 Brandon Butler tossed the ball up which made for a cool image. It almost looks like the referee is yelling at him to drop the ball and put your hands up. Next up for me is pre season Bowling Green Falcon Hockey, I can’t wait for a change in sports. 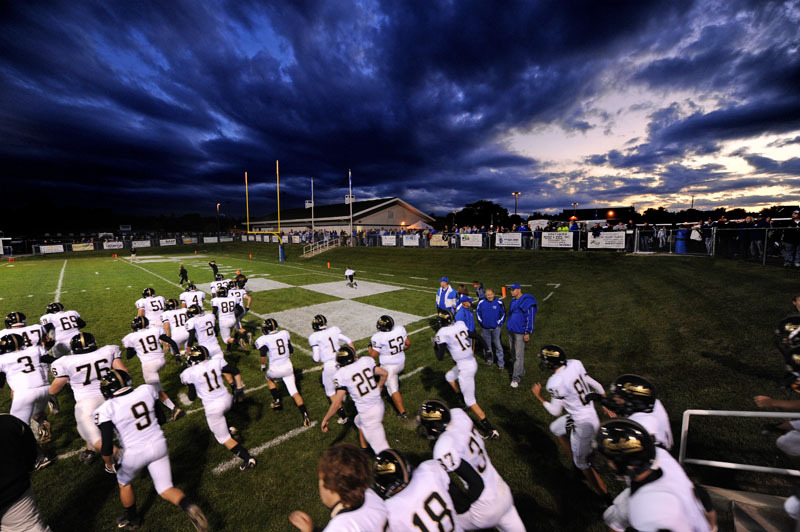 This entry was posted in Football, Newspaper, sports and tagged Cool Sky, Football, Perrysburg. Bookmark the permalink.